There is no other streaming system on the market that gives you the freedom to interact seamlessly with musicians, engineers and producers in studios around the world. Communicate on your own secure network and transfer uncompressed data at your desired sample rate. Qonnect with colleagues and customers in real-time without limitations in bandwidth. Schedule international mixing and recording sessions in a user-friendly environment and work together in a shared virtual studio. Now studio professionals throughout the world can speed up their workflow with this revolutionary server & software system for bi-directional online collaborations. 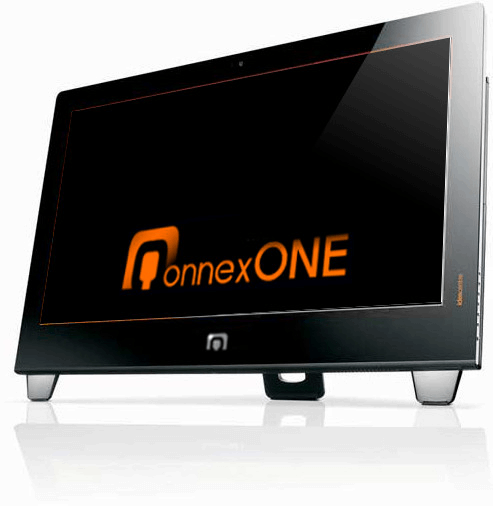 You can either buy our QonnexONE System right away or take out a subscription. By subscribing, you purchase the server and remote console at a lower price and pay an additional monthly fee as long as you use the system. You can suspend the subscription any time to the end of the month and reactivate it when needed. Regardless of whether your clients are using a Mac or PC, the QonnexONE will connect to all of them via Oracle’s JAVA™ and automatically snap at your desired sample rate to Core Audio and ASIO installed on any audio interface. When the QonnexONE is installed in your studio, your teammates can log on to your system’s network app from wherever they are and start working right away. Everything is handled by a single QonnexONE unit. No cloud servers. No security issues. You are in complete control. Once the uncompressed channels are connected over the Internet, you can directly stream and record from and into your DAW, regardless of whether ProTools™, Logic™, Nuendo™, or any other audio sequencer is being used. Communicate face-to-face with all the participants in a stable video conference. Intuitive usability and desktop sharing functionality help setting up connections in seconds. Bands and customers can listen in real-time to your mixdown from every corner of the world. Customers can compare two stereo streams – source and master – during mastering sessions. Record uncompressed audio streams from voice-over artists in mono or stereo. No codecs or ISDN required. Vocal and instrumental performances in an external studio can be recorded in perfect sync as if they were taking place in your studio’s tracking room. 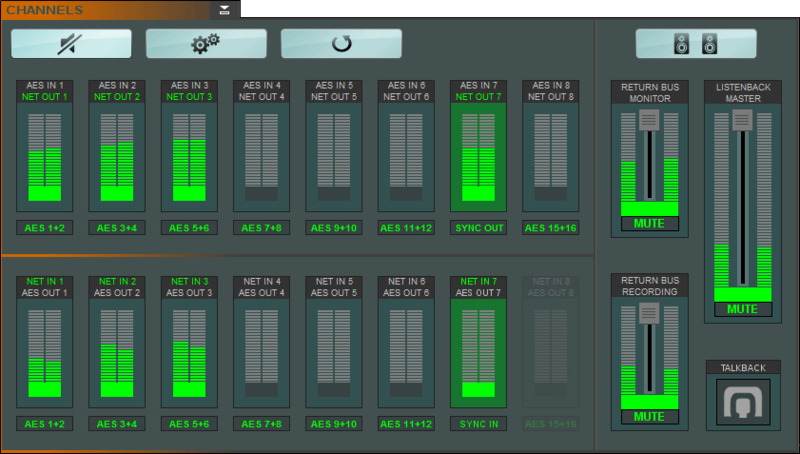 Send stems in real-time to another producer and let him mix the track on your DAW via remote console. Keep the app running permanently and let your studiomates hang out with you all day long just because it’s possible. You can even stream 5.1 mixes to a producer or another studio and vice versa. Share the screen of your video editing monitor with another producer or customer abroad. Invite people to listen to your streams on their pads and smartphones. Teachers can instruct their students via online lessons. Audio schools can bring together instructors from around the globe. 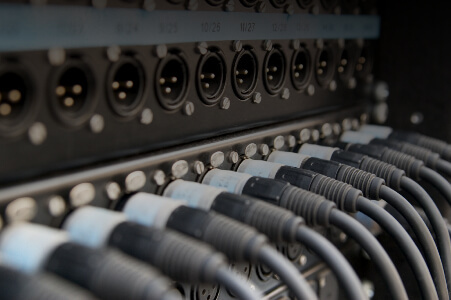 Companies can install their own audio and video network and interconnect various locations for online teaching. Feed the QonnexONE with AES, ADAT™, MADI™, Dante™, or Ravenna™ formats. 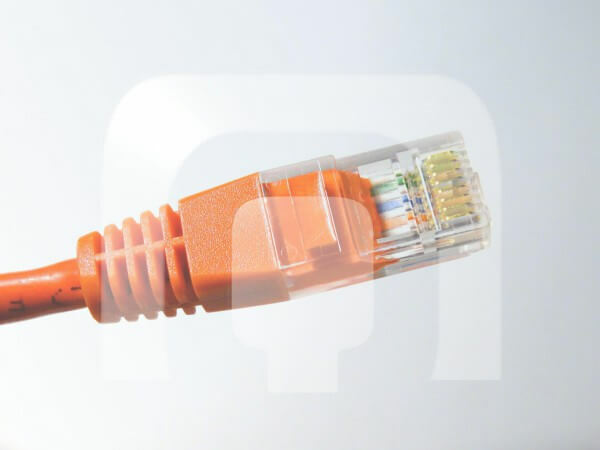 Connect your Ethernet to the Internet. Send high-end audio streams from your digital interface through the QonnexONE out into the world. 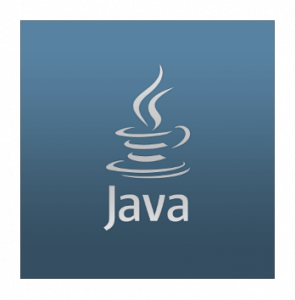 Freely choose the project’s sample rate, whether 44.1kHz/16-bit or 192kHz/24-bit, or anything in between. Record singers and instruments from abroad with utmost precision and let participants listen to the performance in perfect sync. Brand the app and invitation emails for studiomates and costumers with your studio details and logo. Set up an unlimited number of engineers in the studio, that are using the QonnexONE with their own studiomates and customers. 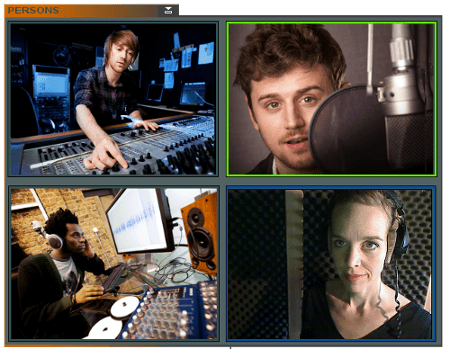 All the video & audio streams are sent and received by the server in your studio. No third parties involved. Send parallel AAC streaming to smartphones and pads with limited bandwith in mobile networks. Attend a QonnexONE studio session and you can no longer do without the possibilities. Hold conferences with an unlimited number of people. Studio-like talkback buttons for all attending participants. Listenback session monitoring in real-time for all people involved. Just send an email to schedule an appointment for a demonstration in one of our online studio lounges. Once You’ve Heard It, You Don’t Want to Miss It! Let Dante™ and Ravenna™ Expand All Over the World. 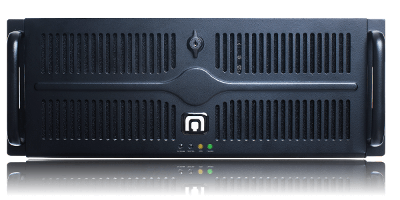 Audio over IP Solution for Sophisticated Audio Networks! Watch these YouTube videos and find out how to easily qonnect to the system.